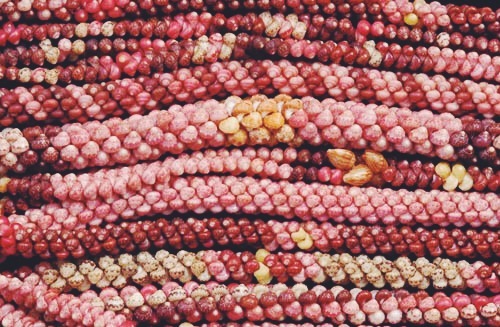 Intricate patterns, diverse styles and vivid colors of the Ni'ihau shell leis. 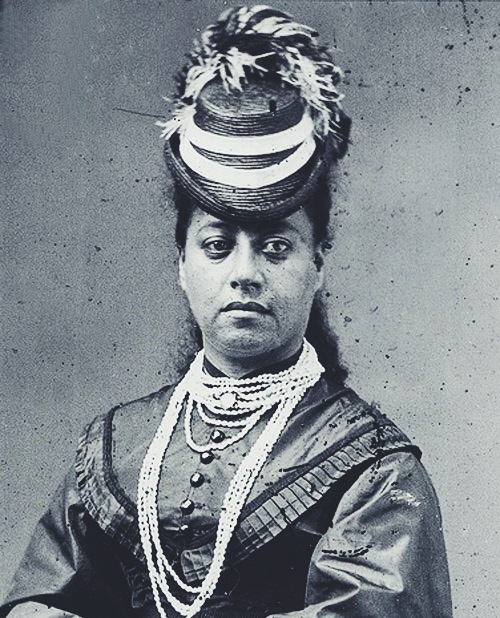 Hawaiian Queen Emma wearing multiple strands of Ivory colored Ni'ihau leis. Shells are first gathered and sorted for color and size. Each shell is cleaned of debris, pierced and strung. I own this style and LOVE it. Very sacred to me. Layered shells form unique texture. 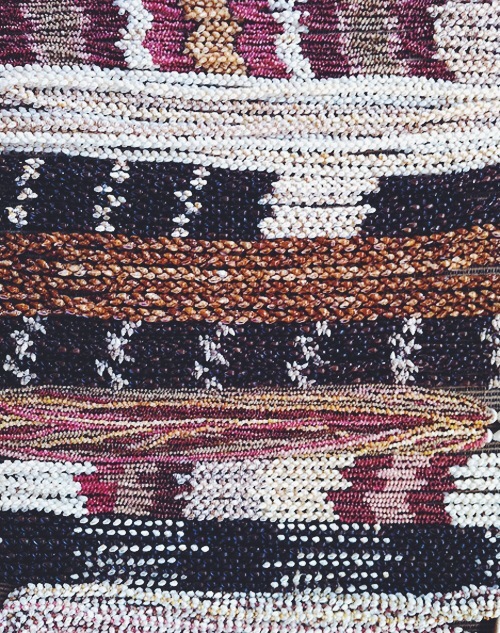 As a young girl I was fasinated by the layered shell patterns of the Ni'ihau leis and find myself even more intrigued today. If you have never heard of Ni'ihau your not alone. Nick named The Forbidden Isle visitors to this part of the Hawaiian chain are rare. Privately owned, the Hawaiian traditions, language and culture are still very much alive. 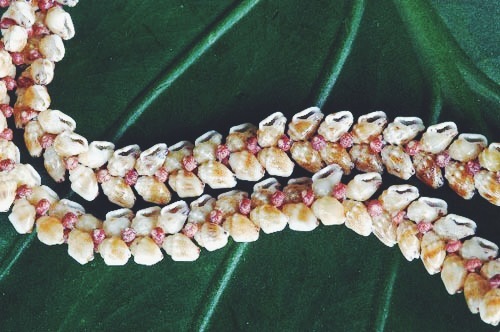 In celebration of May Day we take a moment and pay tribute to the intricate beauty of the Ni'ihau shell lei. Ni'ihau holds some of the greatest shell craftsmen known. 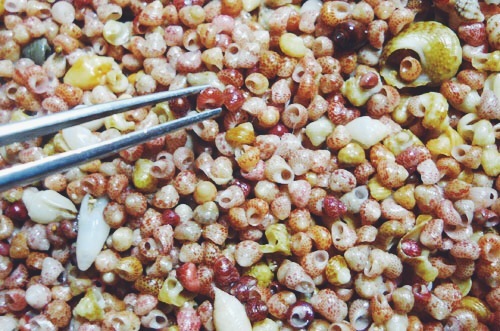 The island is very dry and lacks enough rainfall to support the blossoms of the traditional flower lei; the shell lei served as an exquisided substitue. 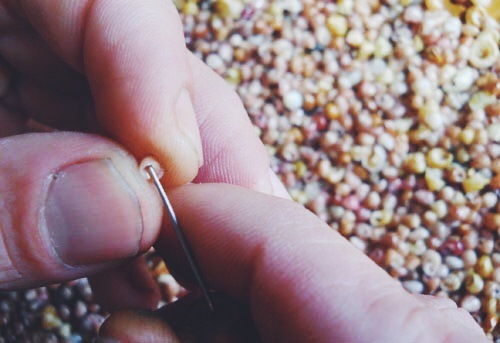 I will be forever in awe of the artisans who create these timeless pieces. Their patience is astounding. Those shells are tiny! Happy May Day and A hui ho!